Nothing says “Welcome to the South” better than a delicious pecan dessert. Pecan pie muffins, found in River Road Recipes IV: Warm Welcomes, page 100, are a unique variation to the typical assortment of muffins. 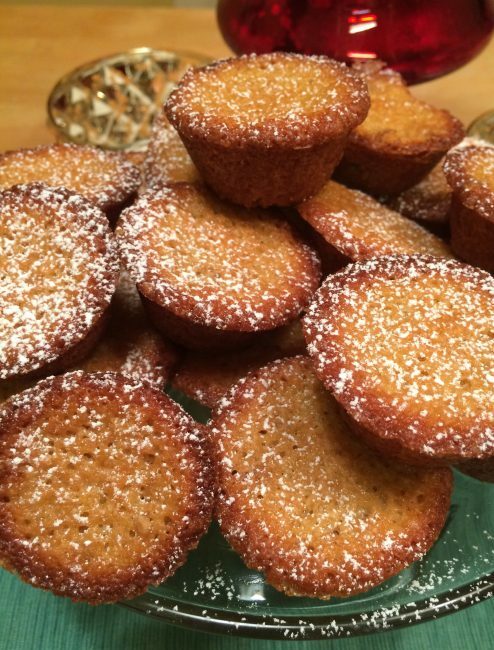 With the many celebrations of fall and winter quickly approaching these tasty muffins will be a southern addition to your holiday celebrations or just perfect to enjoy with a cup of café au lait on a cool fall morning. Be sure to stop by the River Road Recipes tent at Alexander’s Market on Sunday, October 2 to sample a pecan pie muffin and purchase your own River Road Recipes cookbook to add this and other fabulous recipes to your own collection. Mix the brown sugar, pecans, and flour in a bowl. Whisk the butter and eggs in a separate bowl until blended. Pour the butter mixture into the brown sugar mixture and stir just until moistened. Fill greased or paper-lined muffins cups 2/3 full. Bake at 350° for 20 to 25 minutes or less. Serve warm. Seasonal. Local. Organic. These are the culinary buzzwords of the last few years. Unless you’ve been living under a rock, it’s almost impossible to have missed the “farm to table” movement that is dominating the national food scene. While eating seasonally and sourcing food locally may be a hot new trend for the rest of the country, in Louisiana, it’s something we have been doing for generations. In fact, we mark our seasons not by the changing temperatures, but instead by the available local fare: celebrating crawfish season in the spring, crab (and snoball!) season in the summer, shrimp season in the fall, and oyster and wild game seasons in the winter. 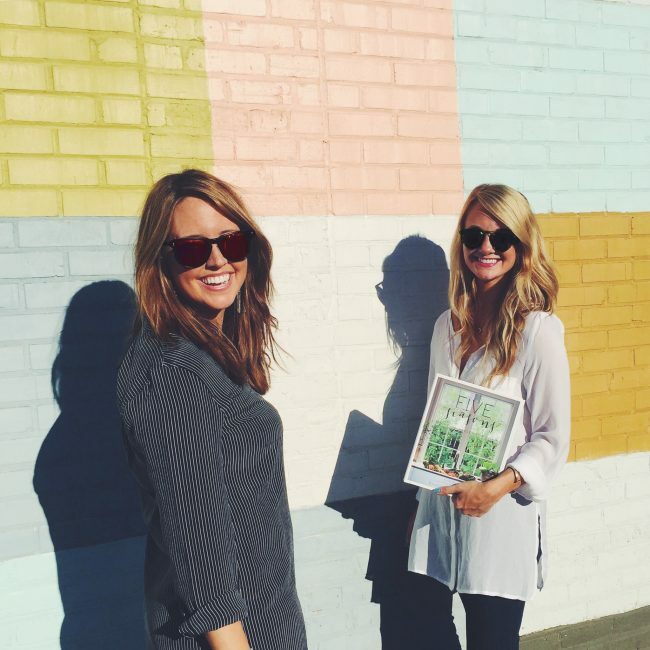 Erin with friend and co-author Lauren Beth Landry at one of their favorite spots in Baton Rouge. Photo from Five Seasons. “Eating seasonally is more cost efficient, the produce tastes better, and it’s fun!” says Erin. “As they say, variety is the spice of life, and varying my produce from season to season not only forces me to be creative, it balances my diet.” Shopping at Whole Foods and the Redstick Farmer’s Market Saturday mornings in downtown Baton Rouge for the freshest, local ingredients, Erin cooks nearly every night of the week. “We eat at the table — no phones or TV. Sharing a meal each day is very important to me so we’ve done this since day one, but it’s especially important now because we put the baby to bed first, so it’s catch up time for [my husband] Justin and I (although it will also be nice when Oliver can stay up late enough to join us).” On the occasions when Erin does eat out, Baton Rouge restaurant Beausoleil is one of her favorites. 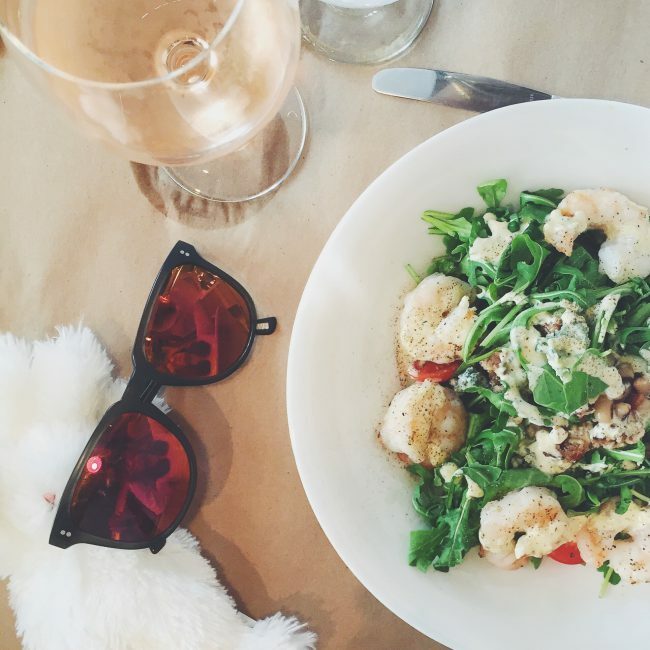 Erin sharing one of her favorite meals at Beausoleil with son Oliver: the fried oyster salad (substitute grilled shrimp) and a glass of the Whispering Angel rose`. Photo by Erin Nugent. One of Erin’s favorite recipes is Chicken Pomodoro. 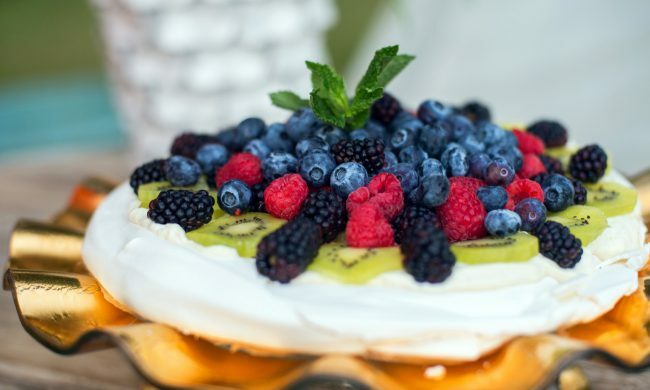 “The chicken cooks down until shredded in a medley of fresh tomatoes, wine, and herbs so it’s light enough for warmer months, but also savory due to the addition of Parmesan cheese rinds — the perfect combination.” Her favorite dessert, found in the Five Seasons cookbook, is a Pavlova with lavender whipped cream and berries. “Berries are delicious right now!” notes Erin. Pavlova with Lavender Whipped Cream and Fresh Berries. Photo from Five Seasons. This week, we encourage you to celebrate whatever is being harvested in your region currently by trying something new in your own kitchen. If you’re in the Louisiana area, okra, summer squash, corn, bell peppers, and eggplant all make great contenders. If you need inspiration, trust the “neighborly assurance” found in the tried and true recipes from your “neighbors” at River Roads Recipes or Five Seasons! 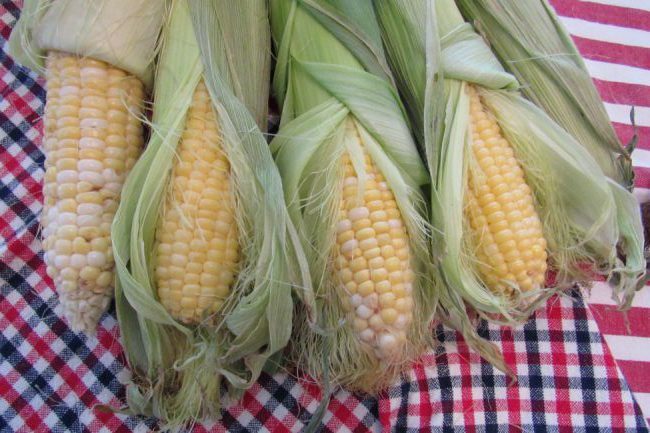 While corn is typically considered a spring crop, ears of corn still abound during the summer months in Louisiana. 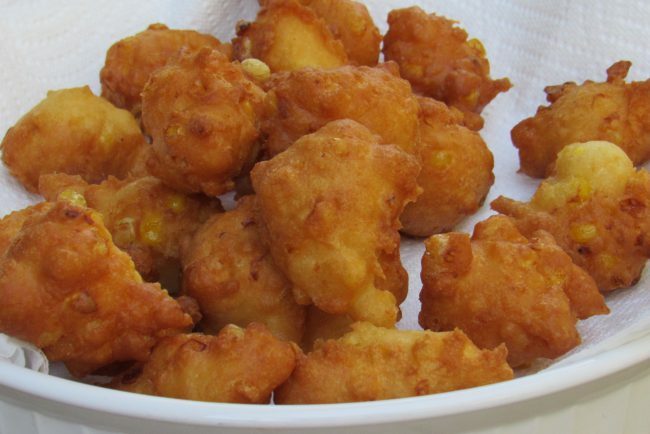 You can use fresh corn from your local farmers’ market or your community shared agriculture box to make these delicious corn fritters, which pair perfectly with an evening summer fish fry! Fresh ears of corn from Luckett Farms. Photo by Lauren De Witt. 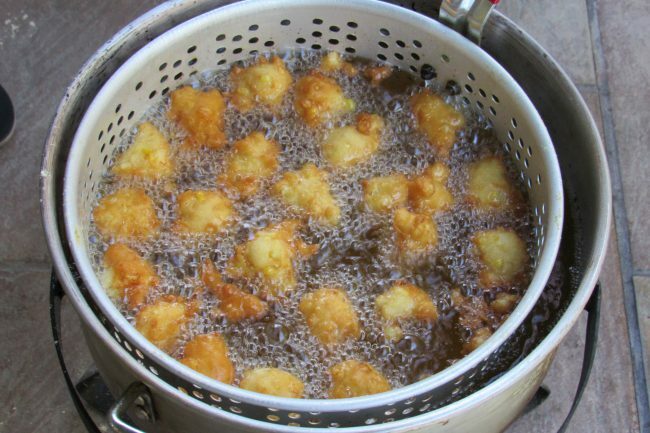 After frying up your fish, drop spoonfuls of the corn fritter mixture into the hot oil to cook. Photo by Lauren De Witt. Beat eggs and stir in milk, flour, and other ingredients. Drop from spoon in deep fat until brown. Note: you can get creative and add different spices, cheese, or even jalapeños to change up this recipe! Hot, freshly cooked corn fritters. Photo by Lauren De Witt. Did you know that strawberries may be frozen with or without sugar? Do not add sugar beforehand to strawberries that you plan to make jelly or jam with. If freezing strawberries with sugar, rinse the berries, remove the stems and slice if desired. Place four to five cups of berries in a large bowl. In another bowl, place one-half to three-fourths cup sugar. If desired, one teaspoon ascorbic acid mixture may be added to the sugar to help the strawberries retain their bright red color. Sprinkle the sugar over the berries and gently mix until coated. Let stand for about ten minutes to allow the berries to make juice. Pour the berries and juice into freezer bags or containers, leaving one inch headspace in the bags. If freezing without sugar, rinse the berries and remove the caps. Place the whole berries in a single layer on a baking sheet and cover loosely with plastic wrap or waxed paper and freeze just until firm. Pack the frozen berries in freezer bags or containers. For the spread: drain the strawberries, reserving the juice and strawberries. Process the reserved juice and cream cheese in a food processor until creamy. Store, covered, in the refrigerator until serving time. For the bread: mix the flour, sugar, cinnamon, baking soda and salt in a bowl. Make a well in the center of the flour mixture. Add the reserved strawberries, oil and eggs to the well and stir until combined. 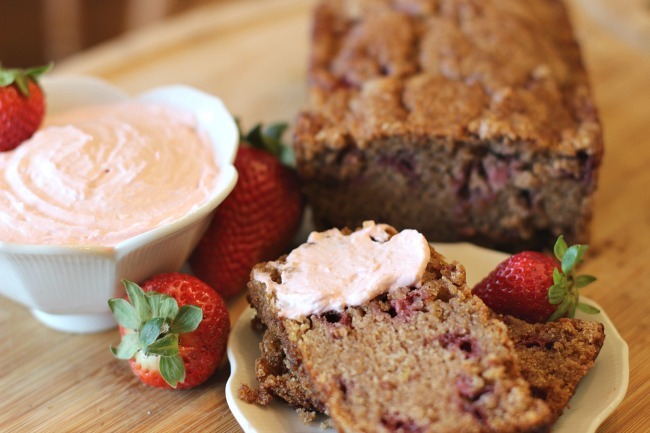 Spoon the batter into two 4×8 loaf pans, sprayed with nonstick cooking spray. Bake at 350 degrees for one hour or until the loaves test done. Cool in the pans for 10 minutes. Invert onto a wire rack to cool completely. Slice and serve with the spread. Makes two loaves. *this bread can be frozen for up to six months.